Today, Goodyear measures sales of nearly $20 billion. But Goodyear began in a converted strawboard factory on the banks of the Little Cuyahoga River in Ohio. Leading their industry for over one hundred years, Goodyear has accomplished legions of firsts and achieved important milestones that reflect their drive, skill, and total commitment to their ideals and industry. Looking back, the founding of The Goodyear Tire & Rubber Company in 1898 seems especially remarkable, for the beginning was anything but auspicious. The 38-year-old founder, Frank A. Seiberling, purchased the company's first plant with a $3,500 down payment -- using money he borrowed from a brother-in-law Lucius C. Miles. The rubber and cotton that were the lifeblood of the industry had to be transported from halfway around the world, to a landlocked town that had only limited rail transportation. Even the man the company's name memorialized, Charles Goodyear, had died penniless 30 years earlier despite his discovery of vulcanization after a long and courageous search. 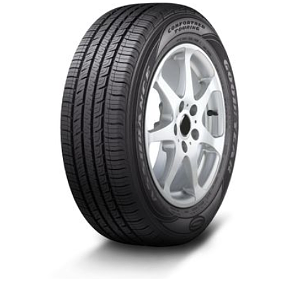 Consumers Digest recommends the Goodyear ComforTred Touring as a Touring Car Tire Best Buy, favoring the quiet ride that results from the extra cushioning built into the tread. 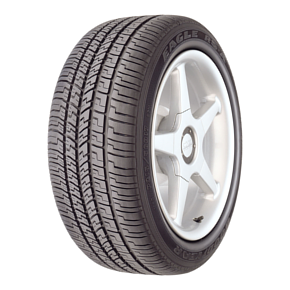 A special comfort layer in the tread helps provide, on average, 20% more cushion than standard passenger tires. 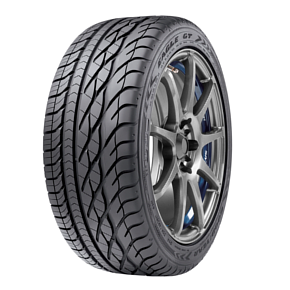 A sport performance tire with responsive handling and confident traction in all weather conditions. 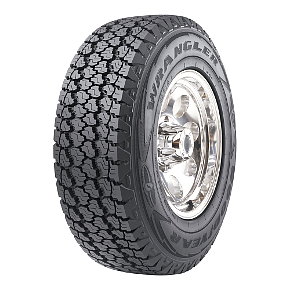 A quality performance tire for all-season traction in dry, wet & snowy conditions. Goodyear's ideal tire designed for extreme off-road expeditions, featuring DuPont Kevlar® that helps resist punctures when powering over rocks, mud & sand. 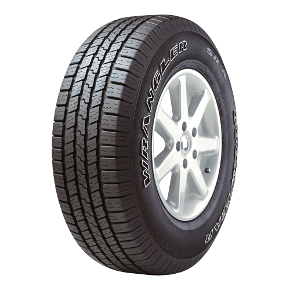 The perfect Goodyear tire for highway driving with enhanced traction, optimized tread wear & handling on wet roads - complimented by a quiet ride. Trusted for original equipment on leading pick-up trucks. 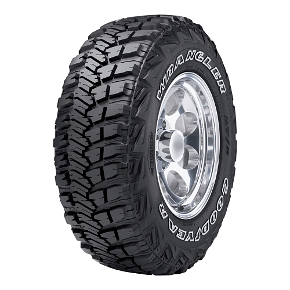 A rugged tire featuring a DuPont Kevlar layer for the versatility needed to conquer dirt trails while also providing a smooth, quiet highway commute.